Fashion Stylist | MD. NYC. DC & More | "THE DEFINITION OF WALKING ART." Fashion Stylist Sharra Greene dresses individuals to embody "the definition of walking art" by empowering and inspiring through sartorial originality. The Walking Art woman uses style to express an attitude. She is influenced and inspired by several genres. Her look can be vintage, modern, provocative, glamorous, edgy cool, or anything in between. However, it is her poise, attitude, grace, and creativity that make every look and experience that she goes for, exceptional and appealing. The Walking Art Blog is an online magazine, style guide, and inspirational showcase of content developed, styled, and directed by Sharra Greene and partnering creative teams. 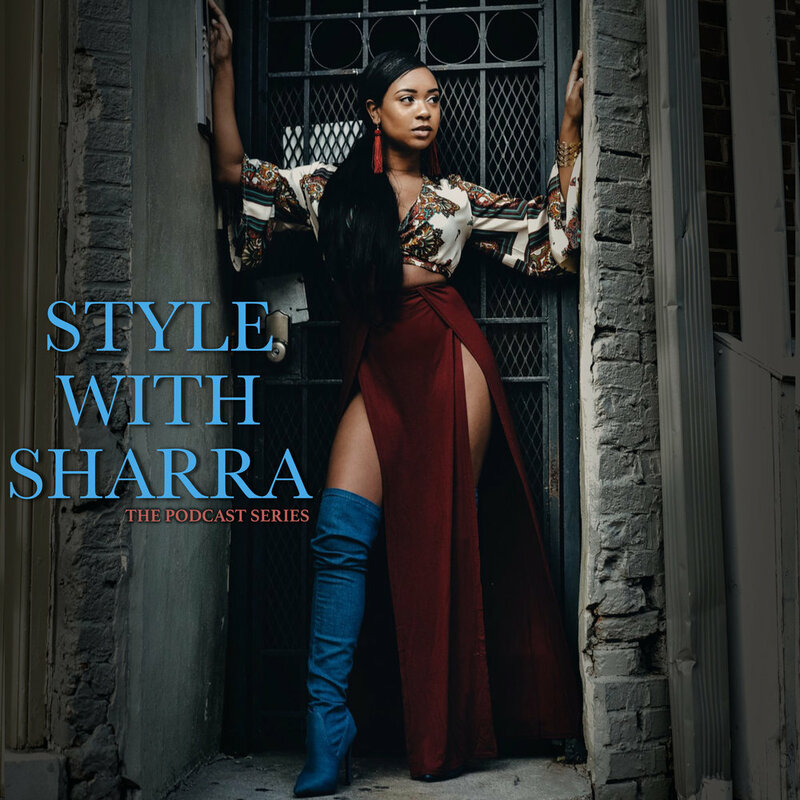 All content is curated to advise, entertain, and inspire readers with Sharra’s perspective of all things fashion, style, business, and lifestyle. Seeking my styling services? Send me an email now! sharragreenestyling@gmail.com. I would love to hear from you! Read my post on "The Power of Being Lady Like" right here! Check out my interview with NYC based journalist, model, and entrepreneur Court Kim right here! Read my interview with designer and fashion business coach Jessica Williams here! Check out my collab post with blogger Style Me Shaz on 12 Ways to Slay All of 2019 here! See "My Sista's Keeper", styled by me right here! Check out my New York Fashion Week February 2019 Recap here! I talk about my experience at the Convos With Claire NYC networking mixer here! See my interview with editorial + celeb stylist Jayne Do' here! The lesson that I'm learning about patience and celebrating progress: read here! From designing cozy separates worn by Zendaya to styling the likes of Mary J Blige and Tiffany Haddish, stylist to the stars Okera Banks gave me the tea on her styling journey and what makes a stylist stand out. Check out our interview here! She stays on set with some of fashion’s most prominent brands. Check out my interview with NYC based stylist and content creator Krystal J. Benson of #inspiredbyKrys here! See my post on ways to make a mark in fashion in this “you can’t sit with us” society here! Check out 3 closet hacks that I give my clients to level up their wardrobe right here! Read my review on the insightful book by Claire Sulmers, the founder of one of the top 100 most influential fashion blogs here! Why past fashion eras will always reign? The answer's here! Read my interview with writer and self care advocate Jasmyn Ruja right here! Click here for images from my Sartorial Savior fashion editorial! The new year is finally here and me and my fellow blogger bae, Lynn Shazeen have created a list of 12 style tips to help our readers slay 24/7, 365. What’s better? They’re all super simple and easy to apply! If you listen to my podcast, you’ve probably heard of Shaz. But if you didn’t already know, Lynn Shazeen of Style Me Shaz is a stylista, blogger, and content creator, who curates looks and advice for “luxe baddies on a budget”. She combines her eye for great pieces with her talents for hunting down affordable places to shop to bring her audience bomb digital content that they can apply to their own personal style. Check out the tips we came up with for 2019. Wanna see what advice Shaz is giving style lovers for the New Year? Head on over to stylemeshaz.com for the first 6 tips… See mine below. Long outerwear is definitely my secret weapon. It allows me to get away with shorter, skimpier pieces while still keeping warm and still having a chic look, appropriate for any occasion. This year, especially, while it’s still Winter, invest in long kimonos and duster coats. It will automatically widen your wardrobe options because you'll be able to layer them over your sleeveless tops, shorts, and mini skirts during any season. Shop My Look: I am wearing a snakeskin print top and maxi faux fur coat from Boohoo, faux suede mini skirt from Missguided, black thigh high boots from Miss Lola, House of Rehab quilted crossbody bag, and earrings that I bought from who knows where forever ago. Not saying that yours has to be as poppin' as RiRi's but every girl should have a little black dress that makes her feel like the baddest thing walkin'. This year, step outside of the popular spandex dress trend and opt for a black dress that has more detail to it. Whether it be a corset shape, lace or fringe detail, or flirty ruffles, explore different silhouettes to make your "classic" black dress stand out. Also, adding on belts with gold accents and eye-catching designs can instantly make your look appear a lot more expensive. Here are a few LBD picks that I’m eyeing right about now: black vegan leather zip front dress, viktoria black matte sequin dress, vegan leather shrug your shoulders mini dress, fawn black feather skirt bodycon dress. Casual doesn't have to equal boring. No days off can still apply to an everyday slay. During those days where you only feel like throwing on your fave sweatshirt, hoodie, joggers, or plain jeans, you can instantly elevate the look with statement earrings and a BOMB printed handbag. Pro tip: Nareashawillis.com and Houseofrehab.com sell some BOMB statement sweats. Shop the look: hoodie, jeans, boots, bag, earrings. Model Amanda Nell, #styledbysharra. Photo by Travis Curry. Sometimes we don’t realize just how important the finishing touches are… Planning (or not planning) even the smallest details can really make or break an outfit. Instead of waiting til the very last minute to throw on accessories from home to complete your look, try doing a shopping trip beforehand that focuses only on the details: earrings, bags, hats, bangles, watches, rings, etc. You’d be surprised how much stocking up on the extras can shift your style. Though you want to make sure that you buy pieces that speak to your style, when shopping, reach outside your comfort zone and explore a few different jewelry shapes, bag colors, and textures, and styles that you normally don’t gravitate to. It’ll add in an element of surprise when you get dressed. A couple of my current fave places to grab bold accessories are houseofrehab.com & olayemii.com. Your "ride or die" heels are the heels that will be there for you through everything! They go with just about any look in your closet, you can dress them up or down, and most importantly, you can wear them for a long time without your feet hurting! My black thigh high boots (above) are my go to. They've been with me when I worked at a boutique and had to be on my feet for hours at a time, on movie and dinner dates, and even handling business in NYC. To find YOUR ride or die heels, it's important to know your heel tolerance (how long you can wear them without wanting to pull em off your feet), what heel shape fits your foot shape best (for my deep arch sis, you probably can do stilettos like me, if you have more of a flat foot, you can try platforms with a chunkier heel), and also what type of fits you wear most of the time (that way, you know whether to do an open toe, thigh high boot, ankle boot, etc. Here are a few of my current fave places to shop heels: Miss Lola, Jessica Rich, Steve Madden. 12. SHOP FOR YOUR SUMMER WARDROBE, NOW. Even though it's January, It's never too early to get a head start on your summer wardrobe. The smartest way to shop is to buy summer clothes in the Winter, and vice versa. Instead of just keeping an eye out for cute summer pieces, start creating full looks from all of the summer pieces that are on clearance right now! Which tips will you be applying this year? Comment below! Stay tuned. New content coming very soon to the blog! Happy New Year, loves!